No PocketFives member earned more on 888poker in March than 'josef_shvejk'. 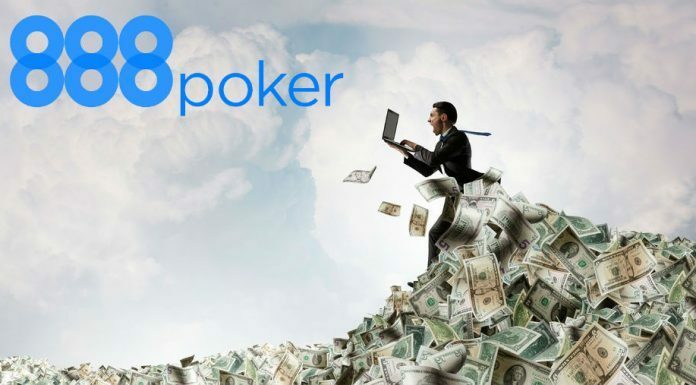 No PocketFiver enjoyed more success on 888poker in March than Russia’s ‘josef_shvejk‘, even though is month actually represents opportunity lost. Picking up $53,950 in earnings on 888poker put him $6,257 ahead of the next highest earner, but almost all of his winnings came from a pair of runner-up finishes in the $1,050 buy-in Whale event. The first came on March 11 when he took home $22,570 for finishing just behind fellow Russian PocketFiver ‘papan9_p$‘. He picked up the second second place finish two weeks later, taking home $23,924 behind ‘B.Mitchell‘. He had eight other 888poker cashes on the month for $7,456. The current #10-ranked player in the world, Johannes ‘Greenstone25’ Korsar, ended up with the second biggest month, banking $47,693.50. He did it thanks to four five-figure scores. Meanwhile, ‘papan9_p$‘ rode his Whale win to a third best finish. Patrick Leonard continued to show the world why he’s one of the best MTT players alive. The partypoker Ambassador and former #1-ranked player won the $1,050 buy-in Whale on March 18 for $34,100. It was his first cash on 888poker since October 2017. Austria’s ‘tiarc‘ rounded out the top five, picking up $33,964.94 in earnings in March. While the rest of the top five were reliant on big scores, ‘tiarc’ posted 16 cashes and none bigger than his $9,109 score from winning the $109 buy-in Sunday Challenge on March 18. Another former #1-ranked player, Fabrizio ‘SixthSenSe19’ Gonzalez, earned $25,459.33, most of that coming after he finished runner-up to Leonard in the Whale on March 18. He also picked up five other cashes that month. Thanks to 32 cashes, ‘Kaktus26rus‘ came in seventh in March, winning $20,219.71. His biggest score came via the $88 buy-in Great 8 event on March 30. Beating 116 other players earned him $ 3,675. A true mid-stakes grinder, just three of his cashes came in events with buy-ins of $109 or larger. The Ukraine’s Roman Romanovsky only cashed five times on 888poker in March, but still managed to make his way into the top 10. His biggest score of the month came in the $1,050 buy-in Whale on March 11 when he finished fifth for $8,540. ‘nU3DOC‘ and ‘proudflop‘ rounded out the top 10.